Welcome to The Club at Harper’s Point in Cincinnati! Welcome to The Club at Harper’s Point, your tennis, swim, fitness and health destination in Cincinnati, Ohio. Your health and wellness goals matter and our dedicated team of tennis and fitness experts will guide you toward success. Selected by Tennis Magazine as one of the top 50 tennis clubs in the U.S., we have something to fit all of your tennis needs. Our 10 indoor air conditioned tennis courts are spacious and feature DecoTurf court surfaces, the same surface featured at the U.S. Open. The 8 outdoor Har-Tru hydro clay courts offer resort style tennis with shaded gazebos May 1 through September 30. The Aquatics Center and Swim Club includes an outdoor junior Olympic pool, cabana bar, zero entry baby pool and more. Members will find first-class cardio and strength training equipment including the advanced single station Cybex and Hammer Strength machines for strength training — and cycles, stair climbers, treadmills and ellipticals for high-intensity cardiovascular workouts. 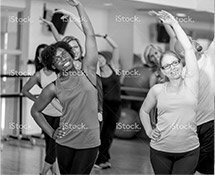 For those who prefer the high energy of a group environment, our Cincinnati health club offers group training classes that range from high intensity Power Hour, Kickfit, and Spin, to the lower impact mindfulness of yoga and Pilates. The Club at Harper’s Point also features an 1,800 square foot aerobic dance studio, daily onsite childcare, a café for beverages and snacks, and BodyWorks Massage Therapy. Bodyworks specializes in licensed, medical massage providing deep tissue as well as relaxation. Our experience, combined with a team based approach with other local health care professionals has a proven track record of successful rehab for chronic pain sufferers. With our exceptional programs, services and amenities, it’s easy to see why The Club at Harper’s Point is Cincinnati’s #1 Tennis, Swim, and Fitness Club! We invite you to come and see for yourself.